Thanksgiving is genuinely is my favorite day of the year. Amidst the hustle and bustle of the holiday season sits a time to reflect on all the wonderful things we have in our lives: our families, friends, pets, co-workers, fulfilling work, community, nature, faith, music, art, books—oh goodness—I am grateful for so many books! I heard a quote recently that really stuck with me: What if you woke up tomorrow with only the things you were grateful for today? When I put on a comfortable pair of shoes, take that first sip of morning coffee, or get to climb in bed after a long day, I think about this. Isn't it amazing how the more we notice these tiny moments and silently acknowledge our gratitude, the more our day-to-day challenges become overshadowed, almost insignificant? What I love about Sarah's post from last year, Gratitude is Powerful, is that she articulates all the great by-products of gratitude, and the ripple effect gratitude can have when shared with others. Today, think hard about what you love and appreciate, and make sure to share your gratitude with the people around you. This practice can literally change your life. To all of you reading this today, thank you for your support over the years. We wouldn't be who we are today without you. 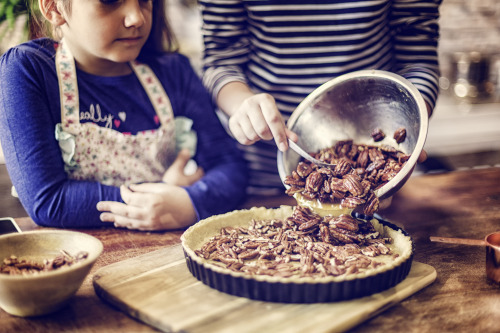 Sarah Tydings explains her favorite Thanksgiving tradition (hint: it’s not the pecan pie). Every Thanksgiving, my family, like many others, takes time to go around the table and say what we are thankful l for. It’s the moment I most look forward to each year (even more than the first bit of my aunt’s famous pecan pie). The feeling of contentment and gratitude that moment creates makes the whole hectic trip up the highway worth it. Turns out that’s not a feeling I have to wait for once a year. Studies have shown that taking just one moment each day to think about what we are grateful for reduces stress and anxiety, boosts feelings of happiness and satisfaction, and gives us a greater sense of purpose in life. 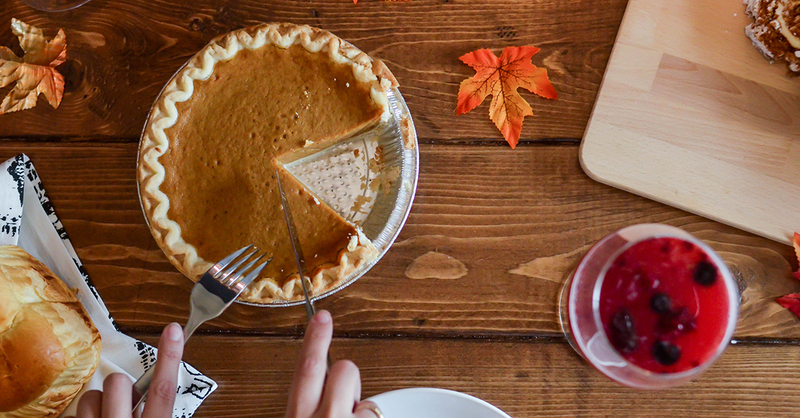 All that good stuff is further increased if we take a moment to write down what we are grateful for in a journal, and it’s even further increased when we take the time to actually say “thank you” to the people we’re grateful for. At Frontier we often challenge our workshop participants to give this a try for one month (just long enough to build a lasting habit). = 93 minutes each month. I don’t know about you, but I definitely spend more time each month doing a lot of other things that don’t result in so many amazing benefits (here’s looking at you, Facebook). Taking time to acknowledge what you’re grateful for is a small commitment with a big payoff. And even though "Thank You” is one of the first phrases we’re taught as children, we often forget to say it as adults. For the ability to work—both internally and externally—with people that continuously push me to be better than I am today. For the chance to work every day in a beautiful office in a great neighborhood. For the opportunity to work with the smartest team I’ve ever been a part of. For the friendships I’ve forged with my teammates. For the chance to experiment in my work, and try out new and creative solutions to problems. For the chance to work at a business that cares about doing good in the local community. That’s a pretty good list. What are you grateful for? Write it down. Share it. Let us know how it goes.